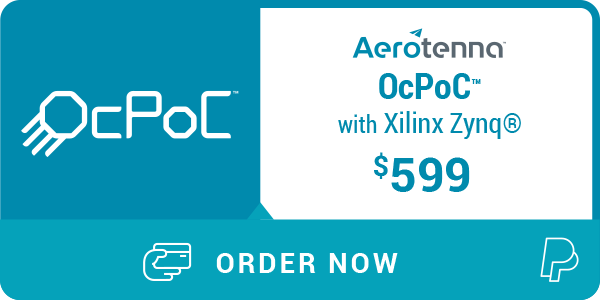 The OcPoC (Octagonal Pilot on Chip) flight control platform, built completely from scratch by the Aerotenna team, is engineered to be a ready-to-fly “box” with integrated IMU, Barometer. The Xilinx Zynq SoC FPGA, functioning as the brain of the platform, provides clear advantages in terms of processing power and I/O capability. An industry-leading 100+ I/Os allow for sensor integration, while the combination of dual ARM cores plus FPGA logic enable sensor fusion, real-time AI and deep learning.